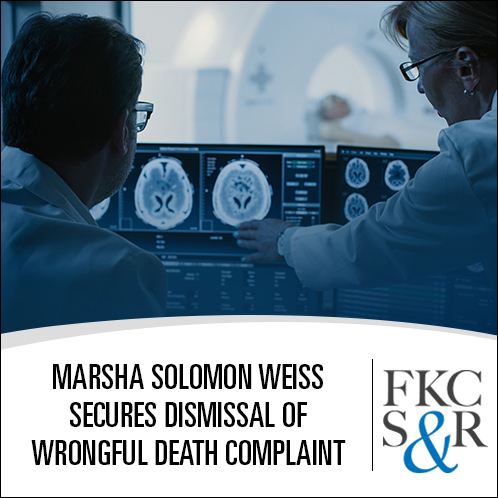 Marsha Solomon Weiss successfully moved for summary judgment and obtained a dismissal of a complaint alleging medical malpractice and wrongful death against a Dutchess County radiologist. 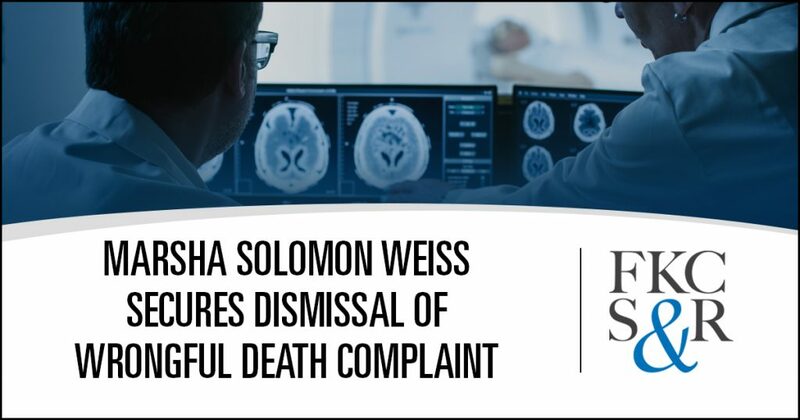 The plaintiff had alleged that the radiologist had failed to identify a small bowel obstruction on a CT scan of plaintiff’s decedent. Plaintiff further alleged that the radiologist’s error delayed diagnosis which led to decedent’s death. In defense of the radiologist, we argued that the radiologist’s reading of the CT scan was correct and that the radiologist’s findings were borne out by subsequent medical providers, including the surgeon who operated on the decedent. In opposition to the motion, plaintiff submitted an expert’s opinion in support of plaintiff’s claim. However, the Court rejected the expert’s opinion because the expert improperly attempted to introduce new claims of malpractice that had never been previously alleged and because the expert’s opinions were conclusory and unsupported by the patient’s medical records.